The introduction of Intel’s 4th-gen processors has understandably stolen the lion’s share of recent headlines, but for gamers, it’s not the most important announcement. That honor goes to the new GTX 700 mobile graphics parts from Nvidia, the release of which has been wisely lined up with Haswell. This clever timing means revised gaming laptops can double-down on upgrades with a new processor and a new graphics component. One excellent example of this double-upgrade is Asus’ G750, a 17.3-inch mammoth packing an Intel Core i7-4200HQ quad-core, cutting-edge Nvidia GTX 770M GPU, 16GB of RAM, and not one but two hard drives: a 256GB solid-state drive for performance, and a 1TB mechanical drive for mass storage. On paper, the new G750 looks like it will be gunning for records in many of our benchmarks. Such absurd hardware might lead you to expect an equally absurd price, but value is the ace Asus keeps up its sleeve. Our review configuration can be had for just $1,900 – less than the Razer Blade we reviewed – and an entry-level version with a step-down GPU and less storage retails for $1,400. Gamers will have a hard time resisting these deals, but has Asus cut corners to make them possible? Even a current G-series owner might have a hard time telling the new G750 from one of the older models. “Stealth” design is still the order of the day, and that means a black matte chassis with angular flourishes and chunky sides. 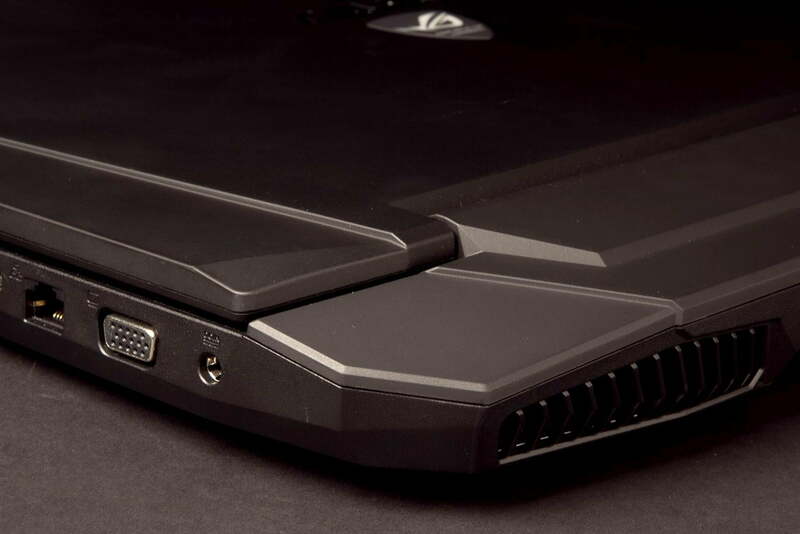 Gamers who prefer a subtle look will appreciate this laptop’s relative lack of gaudy LEDs, but make no mistake – this thing isn’t a looker. What it lacks in style it makes up for in strength, however. This is a robust, well-built system with virtually no chassis flex (remarkable for a large laptop) and extremely tight panel gaps. While most of the laptop is plastic, Asus coated the lid with a pleasant soft-touch finish and lined the interior with brushed aluminum, keeping the system’s least luxurious materials out of sight during real-world use. Asus puts the G750’s thick flanks to use by hosting a large number of connection options. A total of four USB 3.0 ports are available, two on each side, along with Thunderbolt/Mini-DisplayPort, HDMI, VGA, Ethernet, individual headphone and microphone jacks, and a card reader. This is an excellent selection of connectivity that few laptops of any breed can match. This is a 17.3-inch laptop, so there’s plenty of room, and none of it goes to waste. The keyboard offers chunky keys and a full-size numpad identical to what you’d expect a desktop PC to offer. Keys also have excellent travel and decent tactile feel. The result is an excellent experience for both gaming and day-to-day use. 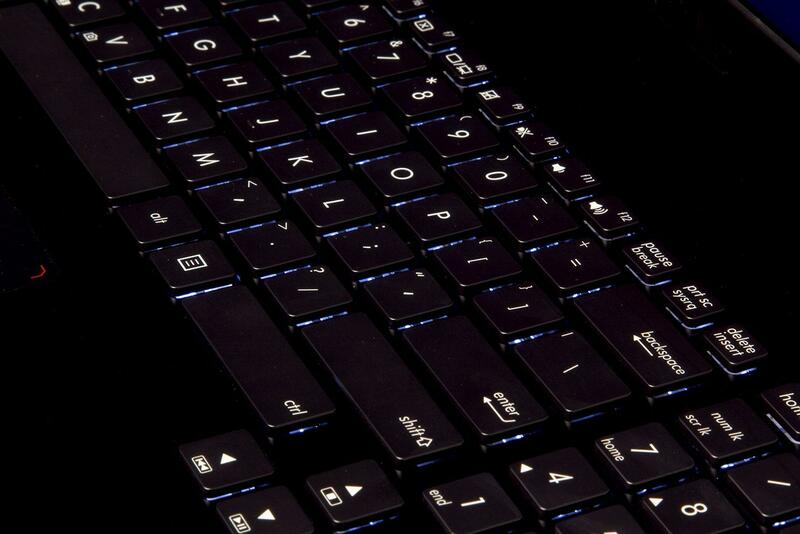 White LEDs backlight the keyboard on all G750 models and can be tuned to one of three brightness settings. The top row of function keys allows substantial light leakage. LEDs are visible beneath the numpad Enter key and the spacebar, as well. However, these flaws didn’t prove a serious distraction because the LEDs are dim even at their maximum setting. The touchpad is among the largest found on any laptop and works well with all forms of multi-touch gesture input, which is good, as the G-series doesn’t offer an optional touchscreen. Big, meaty tactile left/right buttons are located below the touchpad and provide plenty of traction for the most fat-fingered gamer. Most owners of this laptop will hook up an external mouse, but it’s nice to see Asus didn’t use that fact as an excuse to skimp on the touchpad. All G750 models come with a 1080p matte panel that, unlike many competitors, doesn’t sacrifice performance to banish glare. Delivering solid contrast, our benchmarks show the display capable of rendering 96 percent of the sRGB gamut. Other gaming laptops, like the Samsung Series 7 Gamer, are slightly better, but their improved performance comes from a glossy panel that can be annoying in a brightly lit room. 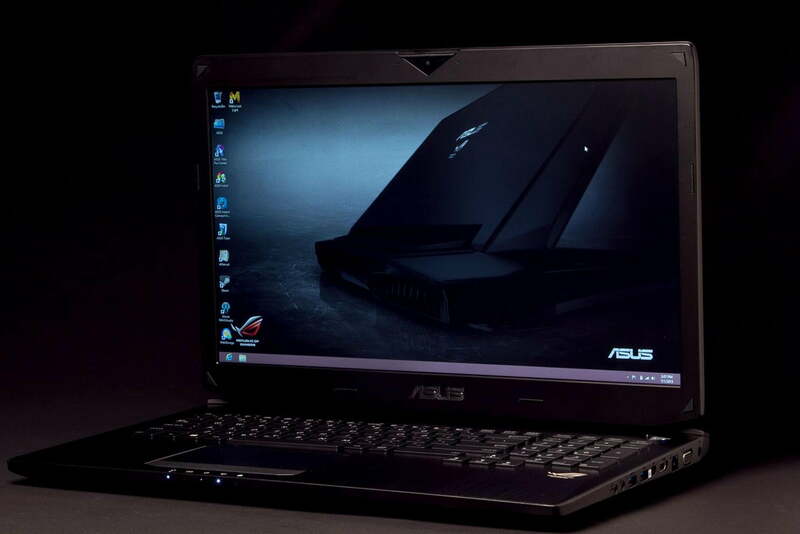 No gaming laptop currently sold offers a better mix of affordability, power, and quality. Subjectively, the matte display’s performance makes for a good viewing experience in both games and movies. Details are crisp and shadows reveal significant detail in dark scenes. Trailers for movies like Pacific Rim and The Hobbit: The Desolation Of Smaug show vivid color, though they do lack the sense of depth a glossy display can provide. The excellent visuals are backed up by a wonderful sound system that serves plenty of volume and even produces noticeable (though not wall-shaking) bass. This is one of the few laptops that doesn’t benefit from a cheap external sound system, though a nice pair of headphones will, as always, be preferable. At 17.3 inches wide and almost 10 pounds, the G750 isn’t portable by any definition. Most backpacks and messenger bags can’t even swallow a system this large, and even if you do have a big enough bag, the laptop’s 10-pound weight will prove tiring. This is a laptop for short jaunts, not cross-country travel. Once you get where you’re going, however, the battery provides surprising endurance. The Peacekeeper Web browsing benchmark required almost four hours to drain a full charge, and our light-load reading test extended endurance to five hours and 27 minutes. These are excellent results for a large gaming laptop. Previously reviewed competitors with 3rd-gen Intel processors typically struggle to last two hours and 30 minutes in Peacekeeper. Our wattmeter showed that the G750 uses up about 28 watts of power at idle with the display at maximum, and up to 121 watt at full load. These figures are much higher than an average laptop, of course, but they also represent a moderate reduction relative to past gaming laptops, most of which consumed around 35 watts at idle and up to 135 watts at full load. Our review unit, like most versions of the G750, was equipped with a Core i7-4700HQ processor. While the model number of this CPU is below the i7-4702HQ we tested in the Razer Blade, the G750’s processor actually has a 200Mhz advantage in both base clock and Turbo Boost maximum clock. The higher clock speeds translated to better scores in our tests. SiSoft Sandra’s Processor Arithmetic benchmark turned in a result of 107 GOPS, and 7-Zip turned in a combined score of 19,634. Both numbers are roughly 10 percent better than the Blade and the second best result we’ve recorded from any laptop. Only Origin’s EON17 SLX, which we tested with an Intel Extreme Edition 3rd-gen quad-core, is quicker. There are few games on the market today that can challenge the hardware in this system, even when enjoyed at 1080p. PCMark returned a score of 5,823, which, just about 200 points behind the blade and 180 points behind the Origin EON17 SLX, is the third best score we’ve seen. But, it’s also 600 points better than the fourth quickest system (the Toshiba Kirabook). In truth, a few hundred points isn’t worth worry; any score above 5,000 is great and represents a system with outstanding all-round performance. Our synthetic graphics test, 3DMark, came to a Cloud Gate score of 14,765 and a Fire Strike score of 3,353. This is where the G750 really pulls ahead of the pack, as these scores are the best we’ve yet received from any laptop with a single GPU and are about 50 percent better than the Razer Blade. Real-world gameplay supported the excellent synthetic results. Skyrim with Ultra High detail ran at its 60 FPS cap, and Deus Ex: Human Revolution achieved an average of 68 FPS with all settings at maximum. Civilization 5, meanwhile, ran at an average of 71 FPS with all details at their highest and zoom set halfway to maximum. There are few games on the market today that can challenge the hardware in this system, even when enjoyed at 1080p. The G750 knocks out the competition with its low price and outrageous power. Despite this laptop’s ferocious performance, its cooling system proved calm and quiet. 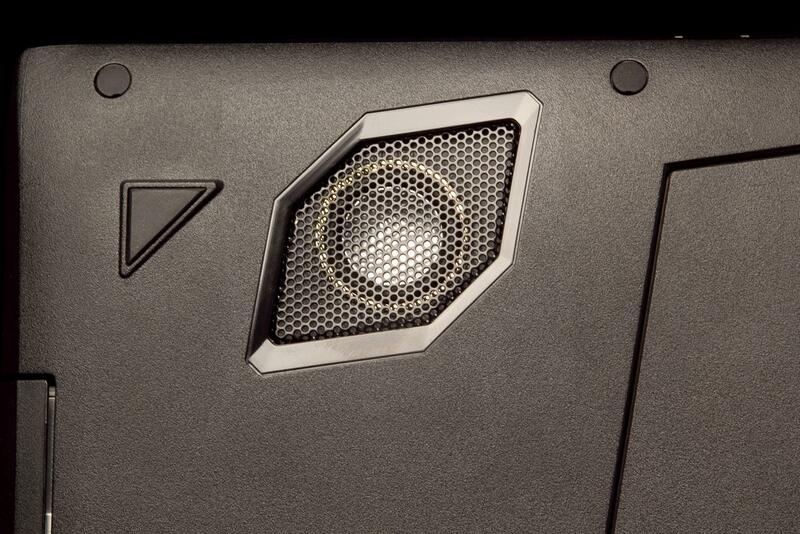 At idle, the fan is barely audible, and it emits no more than 45.7 decibels at load. Previously tested competitors generally score between 47dB and 49dB, so the G750 has a small advantage here. The same is true for external temperatures. At idle, the bottom reaches a moderate 92.5 degrees Fahrenheit, and that figure never exceeds 99 degrees at load. Temperatures along the keyboard are generally in the low 90s, even when gaming. Clearly, the improved efficiency of both Haswell and Nvidia’s GTX 700M series help to keep the laptop calm and cool during the most intense gaming sessions. 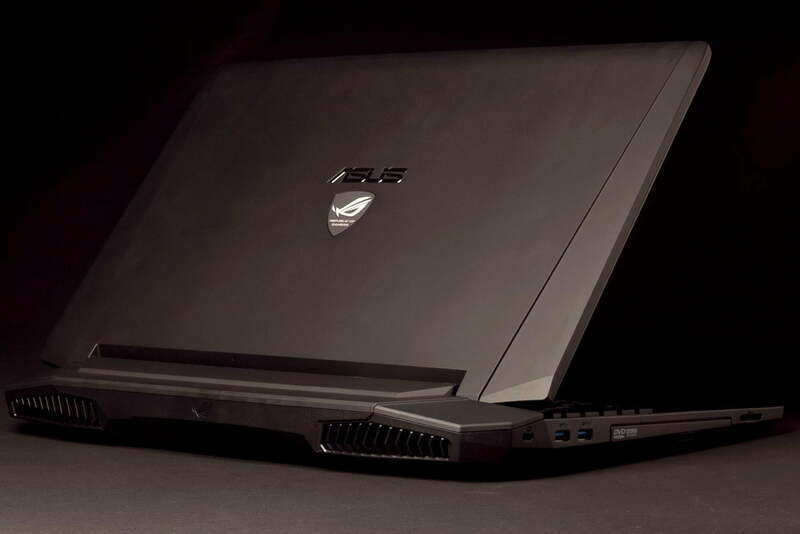 The Asus G750 is the pinnacle of the company’s drive to produce mass-market gaming laptops with incredible power at an affordable price. There’s almost nothing wrong with this system, and the few downsides worth mentioning, like the matte display’s lack of visual depth, are balanced by other advantages. We could recommend this laptop even if its price was similar to the competition. But it’s not; instead, the price is lower. 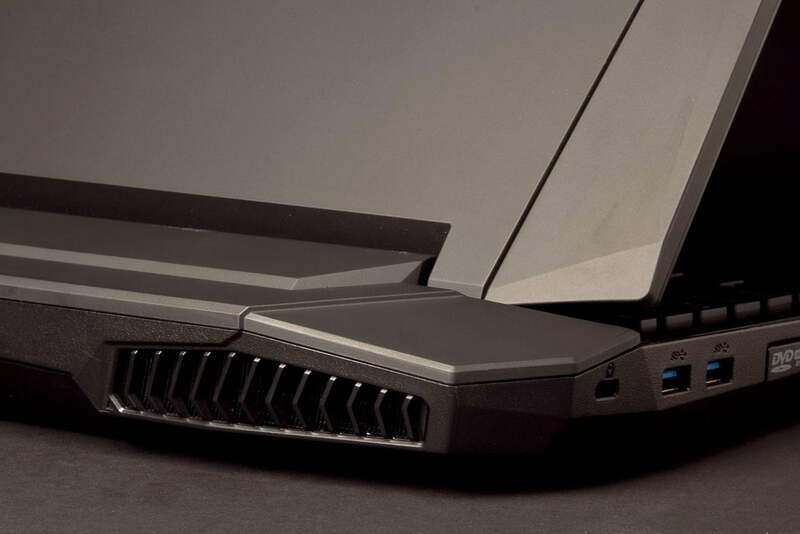 A similar Alienware M17x, for example, is $2,000, while Origin’s EON17 costs over $2,200 when configured with almost identical hardware. Only MSI, Toshiba, and a handful of budget boutiques (like CyberPower) can threaten the G750 on price, but they fail to equal this laptop’s overall quality. Plus, many lack a second hard drive. Customization is the sacrifice made for value, and it’s the only real complaint gamers might have. There are just two models of this laptop: a less expensive variant with a GTX 765M that retails for $1,400, and the $1,900 review unit we were sent. That’s it, at least for now, and Asus will never provide the exotic options (like custom paint) that boutique manufacturers offer. But if you don’t mind having a laptop that looks, and performs, like the rest, there’s little reason to pass on the G750. 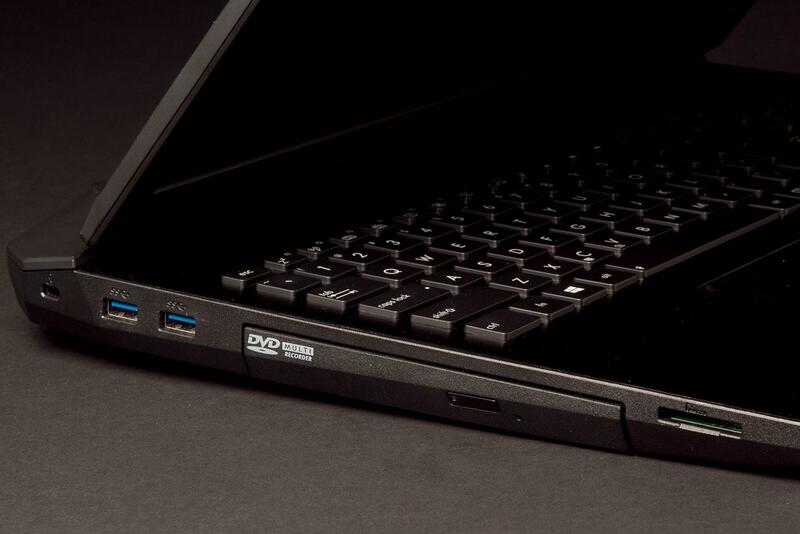 No gaming laptop currently sold offers a better mix of affordability, power, and quality.